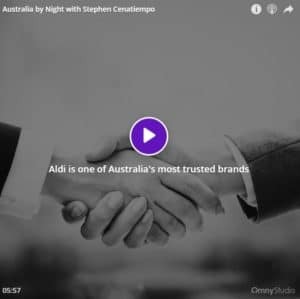 Aldi has come out on top of the list of Australia’s most trusted brands. Lanna Hill from One Step Business Coaching explains that their personality is what is winning over the public. Their humour in their ads are bringing people in to the stores and the prices aren’t to bad either. Do you shop at Aldi? What’s your favourite part about the company?